Doggy Day-camp … only €19.50 a day! Do you feel guilty when leaving your dog home alone? Is your dog getting enough exercise and mental stimulation? Are you having trouble getting your dog/puppy to listen to you? Is your dog destructive from boredom? Is your dog high energy and hard for you to control? 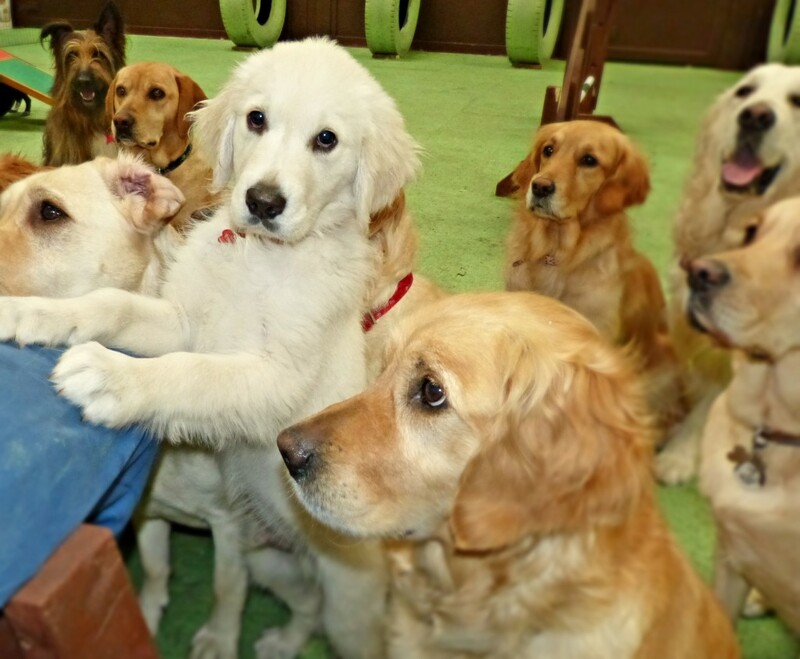 Does your dog need to develop and improve their social skills with other dogs? Do you want a calmer dog? Dogs in social isolation and who are kept in confinement can develop Obsessive Disorders. Many important skills are learnt and refined through play, such as physical and mental coordination and agility, problem solving, understanding how an action can cause a sequence of events, exploration and finding out individual limitations within a safe environment. 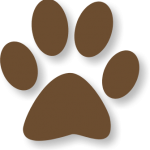 Dog Ranch Doggie day-care programme is a new and fun way for dogs of all ages to learn. We combine training, socialising & behaviour so your dog will get the full benefit and improve their social skills in a safe and fun environment, fully supervised by us at all times. We promote proper behaviour using only positive reward and a motivational approach so at the end of the day you get a fulfilled, happy and calm dog for you to take home and enjoy. There is a structured exercise programme designed for all dogs giving them a proper outlet for all that pent up energy. High energy and boredom are the main reasons owners experience unwanted behaviours and lack of socialisation is the number 1 reason for dog bites and aggression. More and more caring dog owners are realising the benefits of leaving their beloved dogs at Doggie Day-care instead of at home alone. Dogs, like people, are social creatures and need to be around their own kind to become well-behaved, balanced and confident. 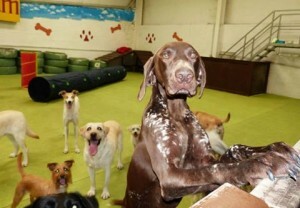 Owners have noticed a huge improvement in their dog’s behaviour from attending Day-care just once or twice a week. Our state of the art centre has separate play areas and is equipped with special rubber flooring for safe play, lots of tunnels and fun interactive games. 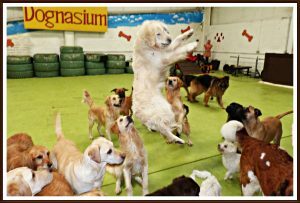 We cater for all size of dogs and have an outdoor playground, a Dog-nasium with lots of agility equipment and splash pools for those warmer days. As we are a Socialised environment, safety is our number 1 Concern so all dogs must be evaluated prior to joining our camp. The assessment is by appointment and is held in our Training & Behaviour Centre in the Kilmore Business Park in Cavan. All dogs must be fully vaccinated and up to date with worming a flea treatment. Unfortunately we cannot accept male’s over the age of 7 months unless they are Neutered. A Well Socialised dog is a Well Balanced Dog.